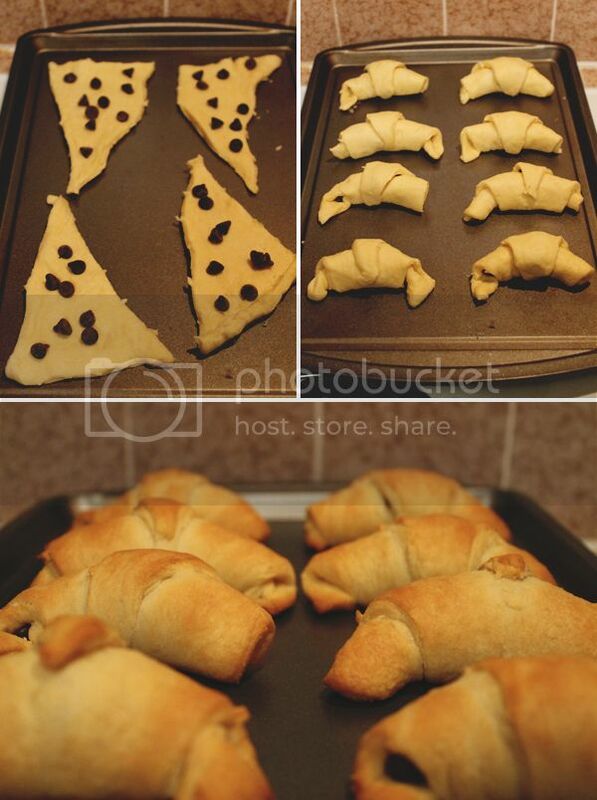 That spare bag of dark chocolate chips made for a delicious addition to these croissants. Super easy, super fast, super delicious. Breakfast? Dessert? ...Dinner? I'm pretty sure this could take the place of any meal. I'm also thinking of the possibilities of s'mores croissants. Chocolate, mini marshmallows, graham cracker crumbs.. This could happen very soon. Happy friday, everyone! Go eat chocolate.